Researchers at the Massachusetts Institute of Technology (MIT) have created a better safety test for Escherichia coli O157 which causes more tha 73,000 illnesses and 60 deaths every year in United States alone. MIT News Office explains that the new test is based on new type of liquid droplet that can bind to bacterial proteins. The interaction can be detected by the naked eye or a smartphone; offering a much faster and cheaper alternative to existing food safety tests. Current food safety testing involves placing samples in culture dish to check and observe if harmful bacterial is form. The process also takes two to three days. Techniques which yields more rapid results requires new expensive and special instruments. Researchers at the MIT team hope that their solution will bring the cost of down for such detection; reducing the need for specialized instruments as well as technical training to do so. With the new technology, they envision that even people in the factory can scan and test the food before shipping; thus ensuring food safety compliance across the entire cold chain. 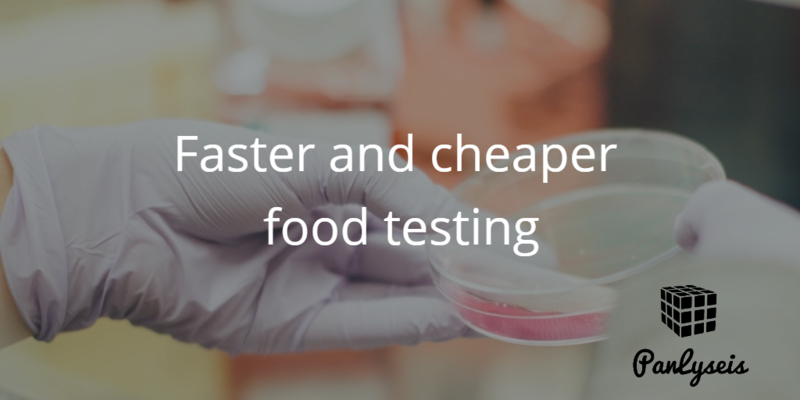 Panlyseis believes that incorporating such technology and incorporating it with both QR codes as well as blockchain will aid in the ability to trace food safety across the supply chain while bringing down the cost and implementation of food testing regimes. This entry was tagged food safety, testing. Bookmark the permalink.